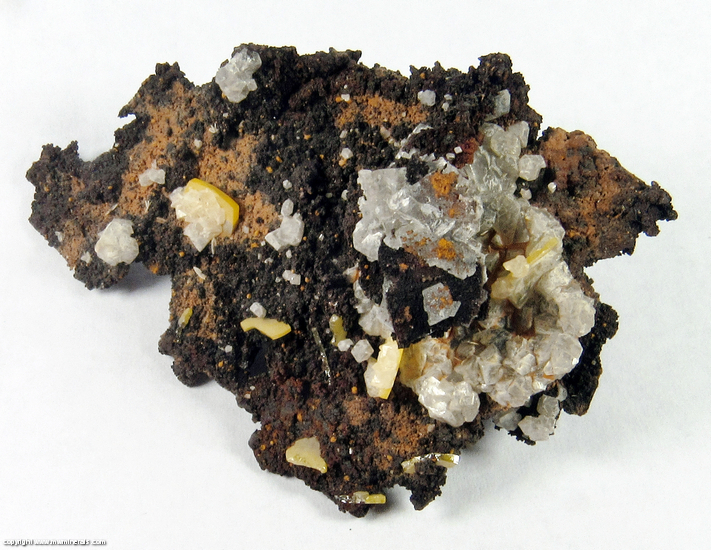 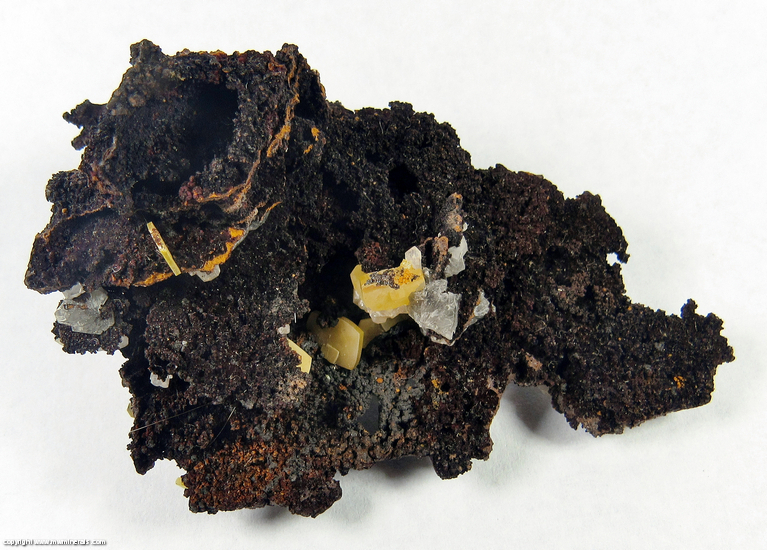 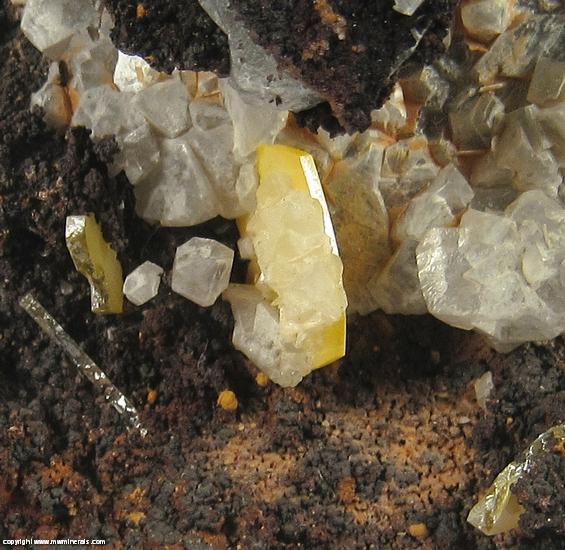 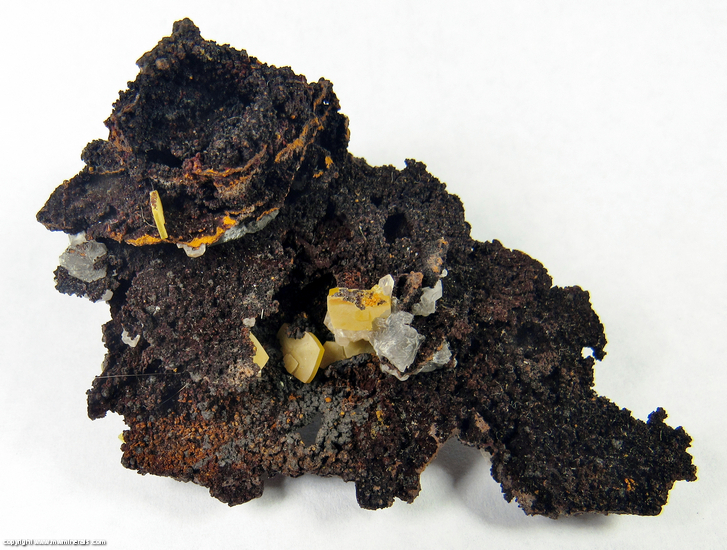 Althougth there are only a few Wulfenite crystal scattered across the specimen, they are well formed and are an unusual and attractive, light yellow color. 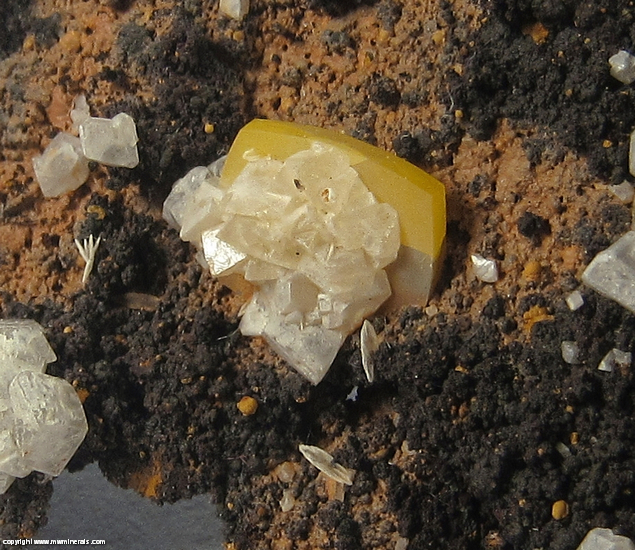 There are also white colored Calcite crystals present. 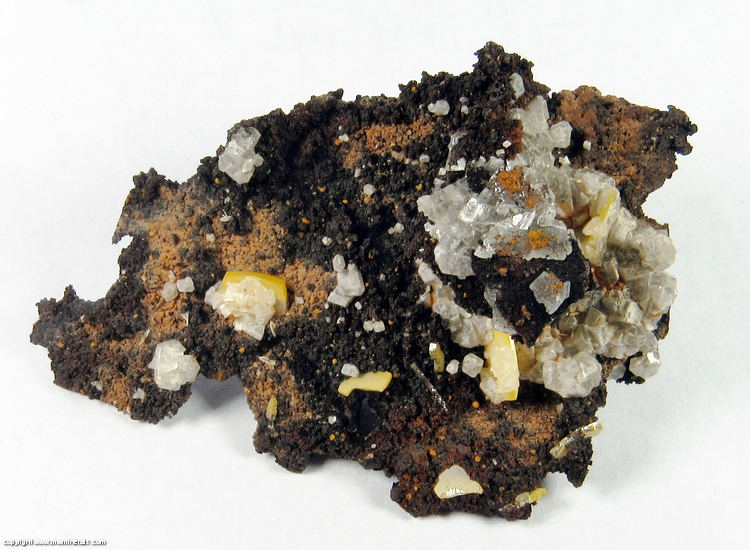 Flaws: Some of the crystals are incomplete.